Separation, divorce, remarriage and other family transitions come with their own unique sets of issues, and each family member can respond differently. Not sure exactly what you or your children need? We can help you figure out and provide some options. The National Family Resiliency Center’s services were designed to meet the needs of your family at every stage of growth and development, and takes pride in being a national and community resource for families and professionals. 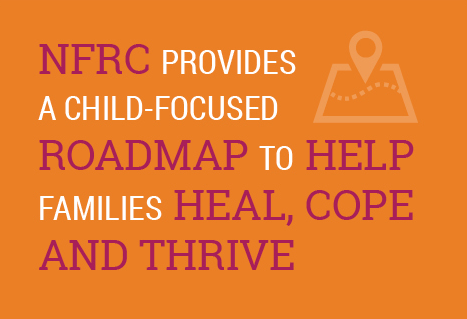 From individual, couples and family therapy, to specialized Play Therapy, and Collaborative Law to co-parent consultations, NFRC’s services run deep. Whether it is for a one-time informational meeting for your family, coaching and advocacy within a mediation or collaborative environment, or a more in-depth assessment of how your child is doing, NFRC has a variety of services to help you and your family adjust to their changing environments. NFRC was so comprehensive in terms of services for my entire family. We utilized the staff not just for counseling for our entire family, but co-parenting plan, representation at Collaborative meetings – my children each had a ‘voice’."